If you're going to be staying at a hotel on your visit, staying at a Disney resort is worth it. It might be a bit more expensive than some of the budget hotels in the tourist area, but the benefits often make up for it. Disney resort guests get all kinds of extra perks, including free transportation to/from the airport, free transportation to all the theme larks, free delivery of anything you buy straight back to your room, free magic bands, etc. The free transportation alone could end up saving you a lot. 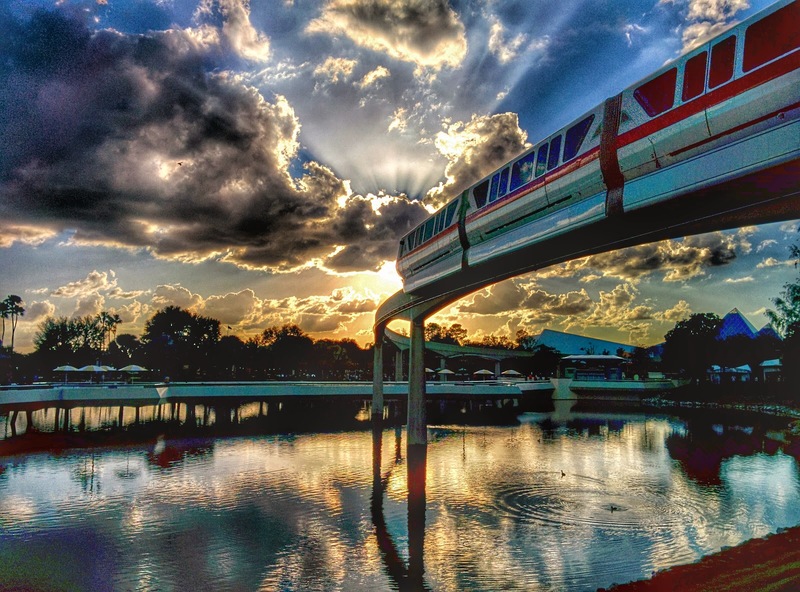 If you only plan to visit Disney parks, you could do your whole visit without renting a car. With the new FastPass+ system, guests can now schedule their ride FastPasses weeks before they travel. Normal day guests and annual passholders can reserve up to 30 days in advance, and Disney resort guests can reserve up to 60 days in advance. Reserving in advance is a must for the high-demand attractions. For example, meeting Anna and Else at Magic Kingdom is always over an hour wait, and at peak times, it gets as high as 300 minutes. So if meeting these characters is important to you, you could waste a huge portion of your day waiting in line if you don't book in advance. Don't try to "beat the crowds"
It's crowded at Disney parks. That's just the way it is. Attempts to beat the crowds typically result in a stressful experience, and you'll miss stuff. Every time we go, I see families ducking out before the fireworks are over hoping to beat the crowd, or leaving a line because "no way am I standing here," or sprinting ahead to get a head start. It's important to remember that while yes, the park is very crowded, it gets that crowded every single day, and the parks are very good at moving lots of people. The line for the monorail at the end of the night is going to look insanely long and you'll think, "holy cow, no way am I standing in the line." But trust me, that line moves extremely fast. You'll be back to your car in less than 20 minutes. So just go with the crowds, don't try to fight it, and you'll have a much better time. Every single time we visit a Disney park, I hear this line at least once: "What, this is just a show? Come on, kids, we're gonna go to a real ride." Going to Disney World is an experience that encompasses more than just roller coasters. If roller coasters are all you care about, you're much better off going to Busch Gardens or Universal Studios. The Disney parks have a lot to offer and let me tell you, the shows are worth your time. Don't be the person who skips something just because it isn't a ride. Try something new - If you're going to be buying food anyway, try something you wouldn't ordinarily get instead of just opting for a cheeseburger. Bring your own food - Disney parks generally don't care what type of food you bring in. They frown on bringing in coolers full of food and ice (and glass bottles aren't allowed), but beyond that, it's pretty much fair game. If you have kids, bring a bag of their favorite snacks. Stop somewhere on your way to the park and pick up sandwiches (or make your own) and bring them with you. We've taken family-sized Walmart sandwiches before. Bring your own drinks - Several Disney parks have Starbucks locations inside now, and the prices aren't inflated from normal Starbucks prices, so the need to bring your own coffee to save money is considerably lessened nowadays. But if Starbucks isn't your thing, or you want to bring a different type of drink, feel free. As long as it's not in a glass container, you'll be allowed to bring it. Buy all kids meals - If you're trying to save money, and don't want to bring your own food, this is a quick way to save a few bucks. Get one person in your group to stand in line for food and order four or five kids meals. The Disney staff obviously isn't going to make you prove that you have four kids with you, they'll just give you what you ordered. I've even seen families do that with the whole family there, not trying to hide anything. Ask for free water - If you want fresh, cold water and don't want to buy expensive bottled water, you can ask for ice water at any food location that has a soda fountain. Cup size varies by location, but any restaurant, quick service location, or food stall that has has a soda fountain, will happily give you glasses of ice water for free, all you have to do is ask. If you're the type of person who relies on your smartphone or tablet, even while on vacation, you'll want to bring a portable battery or charger with you. All Disney parks have Wifi, so you can use a tablet while you're there, and use your phone without worrying about data use, but your battery is going to take a beating. Pick up a portable battery charger before you go, or bring your standard charger. There are outlets all over the place at the parks, and I often see people parked next to one while their device charges. So there you have it, my top pieces of advice. Do you have any other advice to add? Disagree with anything I said? Let me know in the comments!